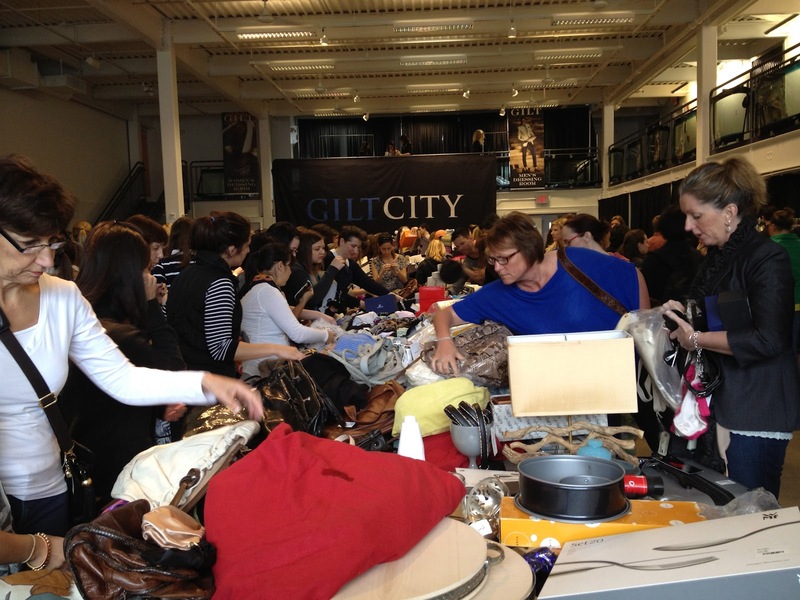 It's 9:30, and I just arrived the Artists for Humanity EpiCenter, where Gilt Group is having a massive warehouse sale. I was here for the preview last night and spotted some real gems: a Rodarte tooled leather jacket, some amazing Marni jewelry and the most darling Carolina Herrera dress. The sale starts in half an hour and the crowds are already lining up outside, so the live blogging will begin in just a few. Check after the jump for updates throughout the morning. 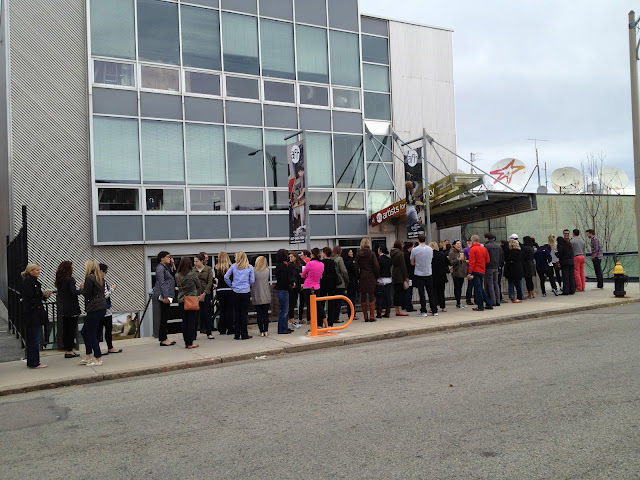 10:00 Doors are open, and the madness begins. Oddly enough, people are heading straight over to the Vitamin Water table for free totes. Don't you know there are shoes, ladies?! 10:15 Accessories are going quick. I'm going to go find out what's there. 10:25 Marni heels that are way to big for me. :( Anyone a size 40? 10:30 Sorry for the terrible photo. It's hectic in here! 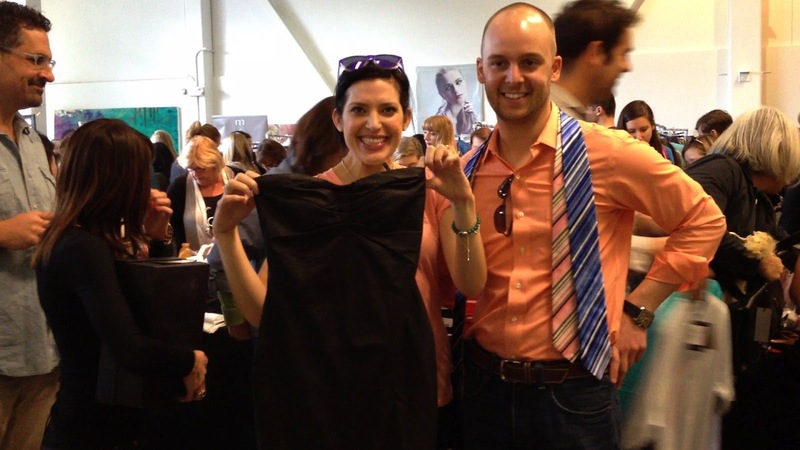 This lucky girl found an amazing Isabel Lu romper. Neon and rhinestones for spring. 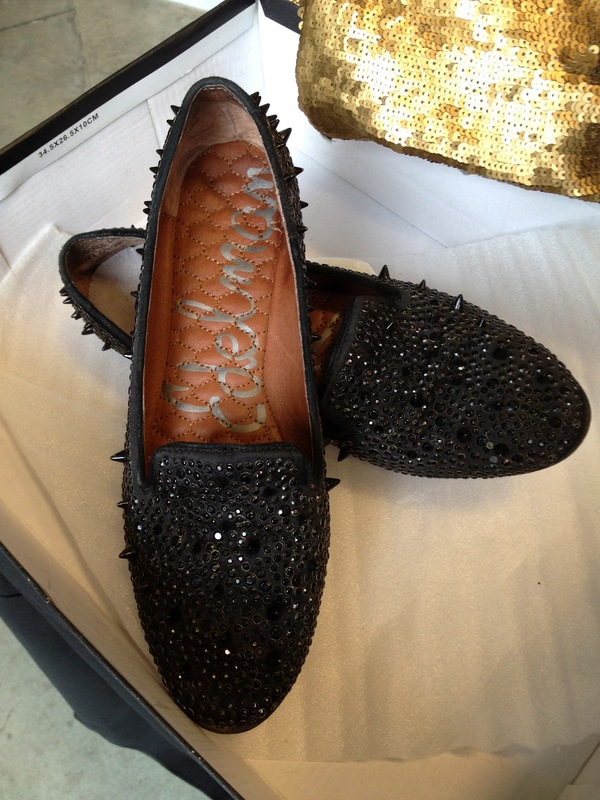 10:38 Spiky Sam Edelman flats! 10:56 Could these be the mint green jeans I've been looking for? 11:02 More neon yellow, this time in a Matthew Williamson gown! Wish the summer weddings I have this year were more formal. I'd snap this up in a second. 11:08 Can't forget about the boys. This Paul Smith suit is marked down from $1200 to $275. Avi, quick! Text me your size! Oh, and those people on the stairs? They're in line for the dressing rooms. These are some dedicated sale shoppers! 11:19 I have to head out to a wedding shower, but one last photo of the cutest couple ever (in matching shirts might I add) and their finds: a couple of ties and a Tart lambskin dress. Were you at the sale? 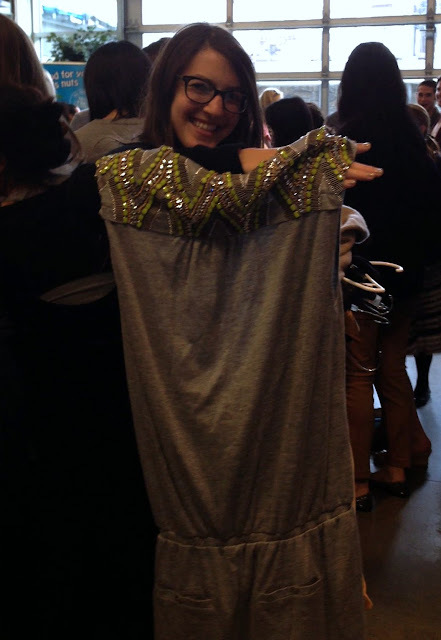 Tweet your finds to @WellAppCatwalk and @GiltCityBoston with the hashtag #raidthewarehouse or leave me a comment. Happy hunting! Whaaaaat! The frigging spiky flats so should be in my closet. Also oh em gee that warehouse sale looks intense, lol. I am sooo jealous! 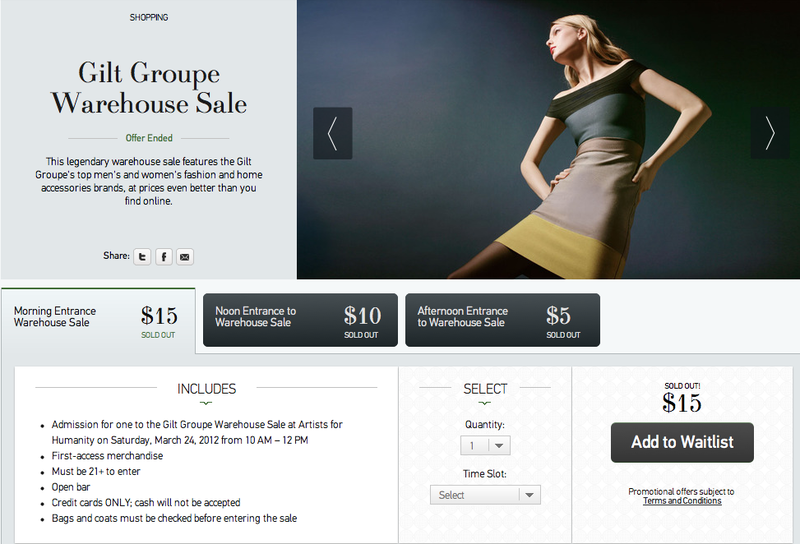 I used to work for Gilt Groupe when I lived in New York and they would hold these warehouse sales and let employees come a bit early! How cool is that?? I'm counting on you to score some goodies so I can live vicariously through you! Looks chaotic but very fun! oh I would go crazy in a place like that! nice event! oh those Marni heels....so fab! I can't believe I missed this! Although just looking at the pictures is giving me sale shopping anxiety... Hope you scored something fab!